I had the fantastic opportunity to be invited to a joint birthday party in the south of the UK in a place called Upwey, near Weymouth. 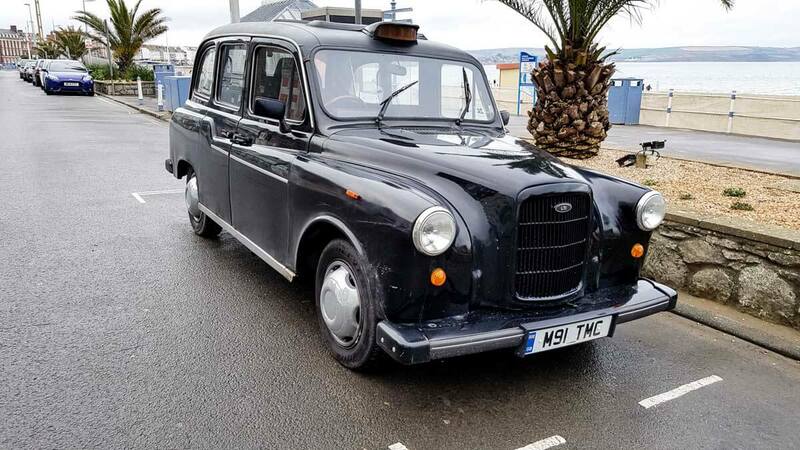 The journey from my new house would be about 4 hours (depending on how many KFC and McDonalds stops were required), the weather was looking good and I was in no particular rush, so I decided to give the taxi it’s first outing of the year! 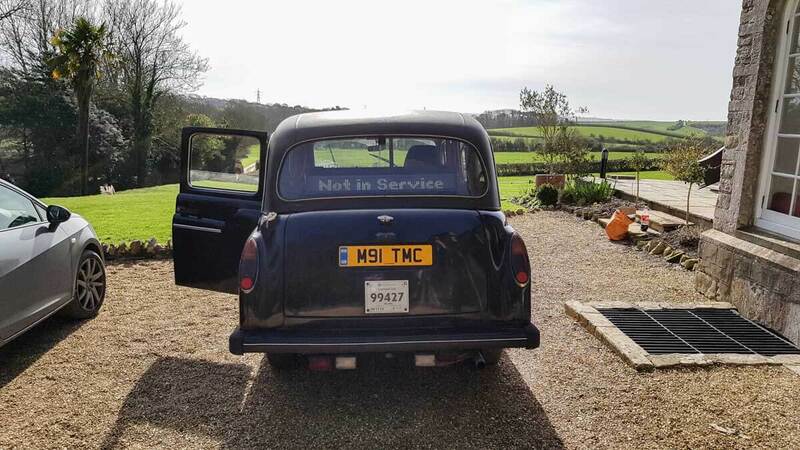 The MOT is valid until the end of May and it’s still taxed and insured so no admin work was needed, but I did spend a couple of hours cleaning the outside and inside, changing the oil over and I reinstalled the battery after a 2 day trickle charge. We stopped halfway to pick up another party-goer near Oxford, which was an ideal opportunity to stop for a quick bite and half-pint. Also a good time for Jess (who had been travelling in the cramped front seat for 2 hours) to move into the back for a little more comfort! 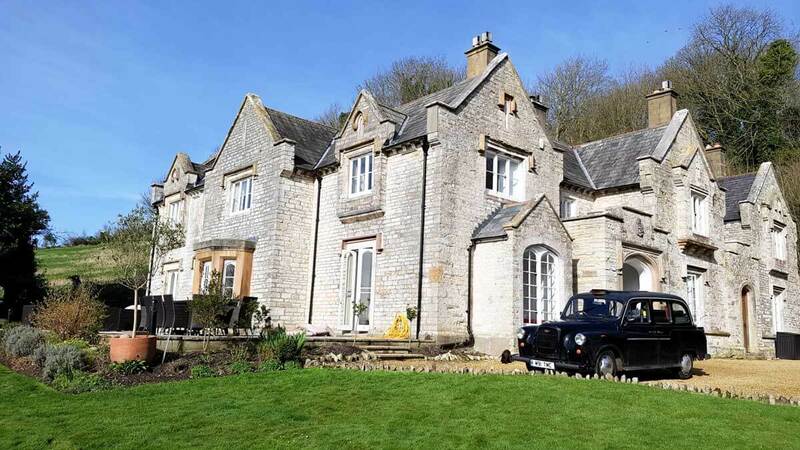 The weekend was in a wonderful house which was rented out by the organisers and slept 25 of us – not only did the house look stunning, it was in the most amazing setting of fields and acres of land to play around in. It was a short walk away from the local pub and a quick drive down to the beach. We visited the town of Weymouth for some fish and chips (because you have to really) and Durdle Door which is natural limestone arch near Lulworth. Well worth a visit, especially if you want a nice walk. All in all, a great first outing without any incidents and makes a promising start to spring/summer 2017. Well, you must have had a great time, Weymouth is a beautiful place. Funny how we are always surprised when our taxis drive long distances without a hitch – didn’t they clock hundreds of thousands of Miles before, what are a few hundreds extra?